The final few final licks of paint on the new development are in progress right now - but it wasn't quite ready for the opening of the Flat season tomorrow, so the Irish Lincolnshire finds a home at Naas once again. 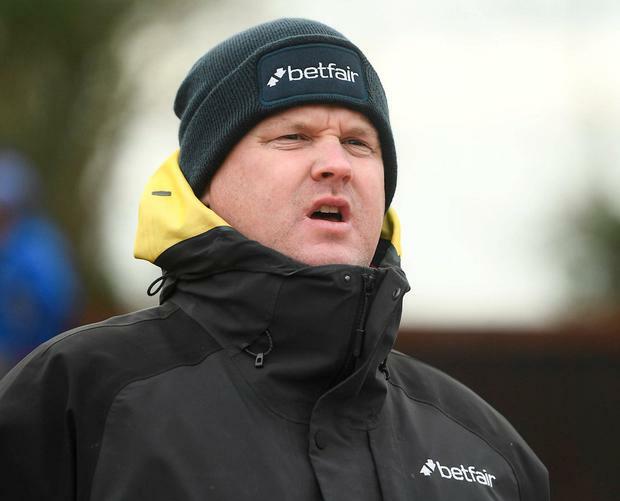 But let me first briefly mention some jumps action, where Gordon Elliott's Duca De Thaix looks nailed on to take the four-runner Listed Pierce Molony Memorial Chase (4.05) at Thurles today, albeit at a restrictive price of even-money. He was beaten by today's rival Jetz in a Grade Three at Navan recently, but the soft ground didn't suit and the tables can be reversed this time. We've the Ulster National at Down Royal to get stuck into tomorrow (3.50), and like last year, we've a relatively small field of ten runners. It looks wide open, so an each-way chance is taken on outsider King's Song around 16/1, rated 109. He's been dropping in the weights following some mediocre runs over both hurdles and fences, but may finally be reaching a level which gives him place claims at the least. Back to the aforementioned Lincolnshire at Naas tomorrow (4.10) where Calvados Spirit, one of three runners for Richard Fahey, catches the eye around 12/1. The draw is of some concern here, but with a rating of 83 for a racing weight of 8st 11lbs, he looks nicely handicapped to me so hopefully he can overcome any disadvantage from exiting stall 18. He hasn't been seen since coming fifth of 17 runners in a Thirsk handicap back in August, but he usually goes well after a break and I'm hoping he can bounce back to form off that slightly lower mark. Theobald is another one for the shortlist for Jim Bolger. A son of Teofilo, he's thriving at the moment and won three of his last four races, all at Dundalk. A little earlier on the same card, consider backing Zander, priced in the region of 6/1, for the Naas Racecourse Business Club Madrid Premier Handicap (3.05). Trained by Ger Lyons, the colt is related to some useful sorts and hit 1/50 in-running on Betfair before finishing runner-up in a Listowel handicap last time out back in September as a two-year-old. That came on the back of a win in a maiden at Galway in the summer, and assuming he's wintered well, he could be one to follow. A rating of 98 seems fair and he should have more to come. Standard In the Group Three Lodge Park Stud Irish European Breeders Fund Park Express Stakes (3.40), Youlong Gold Fairy sets the standard and deserves her place at the top of the market around 5/2. She's already proven at this level, having won a Group Three at Tipperary in October, and Dermot Weld's charge also has course form here having won a Listed contest the previous year. She was out of her depth, but certainly not disgraced, when fifth in the Irish 1,000 Guineas at 66/1 last year - and with four wins from ten races under her belt, she's been a good servant to connections with the promise of more to come. Finally, the 5/2 about Stellar Mass is a good deal in the Listed Devoy Stakes (4.45). The longer two-mile trip didn't suit when last seen finishing mid-division in a handicap at Navan in October, so the step down is in his favour and he's got some good form in Group racing going back some time. A familiar face will be seen in an unfamiliar role on the opening day of the Irish Flat season at Naas tomorrow when Ruby Walsh takes the ride on Castletownshend in the Kildare Post & Kildare Now Maiden. Trained by his father, Ted, and owned by his mother, Helen, Castletownshend failed to trouble the judge in his four runs at three, but went close on his only run at two over the same six furlongs he faces tomorrow. Having spent the winter in the weighing room with Paul Townend, Davy Russell and Barry Geraghty, Walsh will be sharing with former champion Ryan Moore, Colin Keane and Declan McDonogh on this occasion. Moore rides Empire State - placed in all bar one of his five runs to date - for Aidan O'Brien, while Ho Ho Bird is the first horse to run for the amalgamated stable of Patrick Prendergast and John Oxx.